Afternoon all! My training isn’t massively time consuming this week as I found out a few days ago that I’m going to Gran Canaria on Thursday for a race so it’s been scaled back accordingly. With the tiny bit of extra time that’s given me I’ve been able to pop out to nearby Totnes for some lunch at my favourite vegetarian café, Seeds 2, which has salads to die for. Generally, if it’s a workday I only stop for five minutes to make some lunch then sit back at my computer and eat al desco so this is a bit of a treat. I picked my computer back up the minute I put down my fork though – there’s always a list of things I want or need to do so I can only ever relax too much! At the weekend I went to Wind Hill Bike Park in Wiltshire where I spent a full day sessioning jumps in torrential rain, completely, joyfully covered in mud. 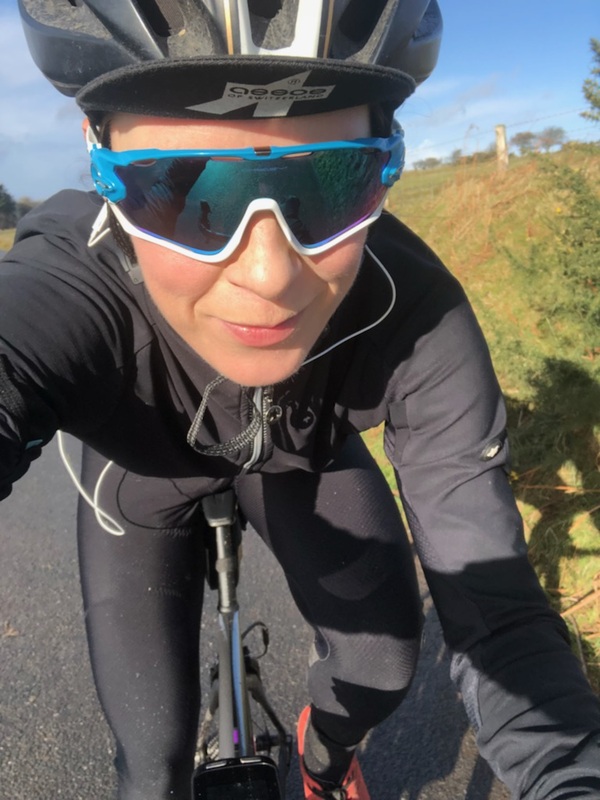 Then on Sunday I loaded up one of my favourite podcasts and set off for a two and a half hour road ride that included various power-based intervals. I was treated to a near on hurricane of snow, sleet and hail within five minutes of leaving the house, the weather so revolting that I turned around and very nearly opted to train indoors instead. But as I approached the turn off for our house, I decided to carry on riding a little bit longer as I was already wet and rather enjoying listening to the Cycling Podcast. I only started listening to podcasts whilst training last year and it was a bit of a revelation. As I’m following a training plan and I live in the middle of nowhere, I spend hours and hours riding by myself, both indoors and out and no matter how much I like cycling, sometimes it can get a little boring. I do enjoy listening to music but I find that podcasts can keep me more engaged and interested. I’ve yet to try the bone conducting earphones that transmit sound through your skull leaving your eyes able to hear other sounds at the same time, mainly because they’re really expensive but also because I’ve heard they don’t perform well when it’s windy and you’re going fast. I like going fast! So at the moment I use the in-ear type earphones but only use one in my left ear so that I can hear traffic through my right ear. I find this system works perfectly well – I can hear the podcast 90% of the time and I am 100% aware of what’s going on around me too. 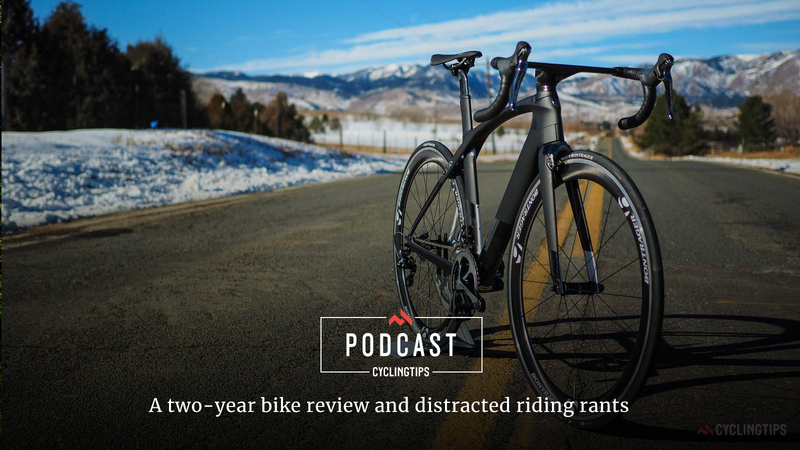 So which are the best cycling podcasts to listen to? Read on for a list of my favourites to download. 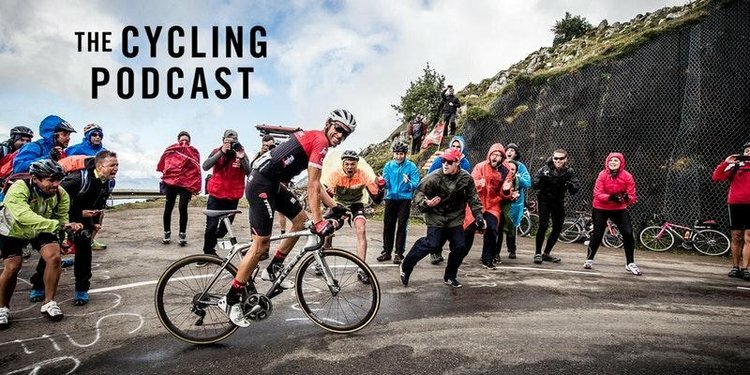 UK based, the Cycling Podcast release episodes weekly that cover the world of professional cycling. Expect race reports and speculation as well as news. 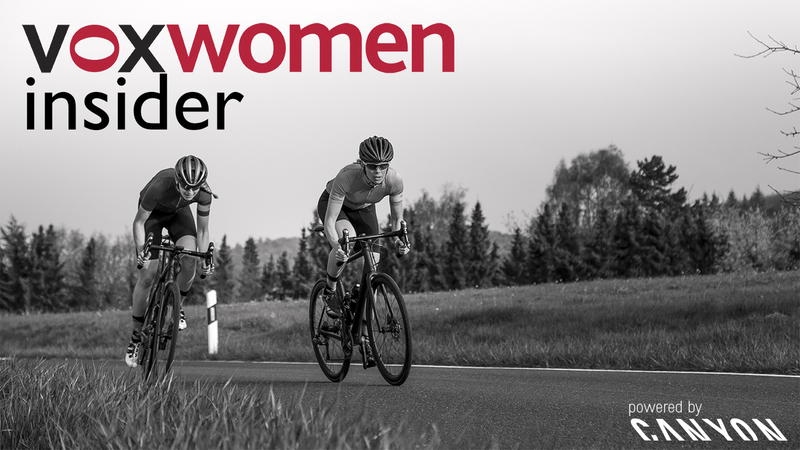 Brought to you by the Cycling Podcast, this monthly women’s cycling podcast is hosted by Orla Chennaoui and Richard Moore. Again, there’s much discussion of bike racing as well as chats with professional female cyclists. Currently broadcasting monthly, the Wheel Suckers podcast covers London cycling issues, bicycle culture and plenty of fun/silly stuff. Duo Jenni Gwiazdowski from London Bike Kitchen and Alex Davis of bicycle café/workshop Look Mum No Hands ensure women feature regularly and celebrate lesser-known cyclists. Brought to you by Vox Women, the women’s cycling TV channel, the Vox Women Insider podcast is hosted by professional cyclist Abbi Mickey. The podcast explores the world of female pro cycling with interviews, discussions and debates fortnightly. The Peloton Brief podcast delves into the world of racing but focuses on the untold stories including the reality of life in peloton and travel rather than news. Phil Gaimon’s long form interviews/chats are really enjoyable – check out the Real Talent series. I hope you find something you enjoy listening to on this list. I’ve focused quite heavily on the road side of cycling here apart from the Wheel Suckers podcast but that one’s largely urban. Are there any good mountain biking podcasts I should download? Or any other kinds of cycling podcast you’d recommend? Let me know in the comments below. You should also checkout “We Got to Hang Out” and “Path Less Pedaled”. Both are less pro/lycra oriented. Have you tried the BBC Bespoke Weekly podcast with OJ Borg, Rob Hayles, and others (often including Michael Hutchinson)? It’s pretty good! Largely road too but they do touch on other things as well. The BBC have Bespoke cycling podcast with Rob Hales and OJ Borg plus others. I love your vlogs! I listen to music thru a bone conducting blue tooth headphone. Music always comes thru fine. If you get a phone call though, the mike picks up the wind noise and it becomes hard to understand what the caller is saying so you have to slow down a lot or stop. I’d highly recommend the Ask A Cycling Coach podcast by Trainerroad, the Packfiller podcast (hell, Pat might just interview you), and Lazer Radio. I got back from my club cycle this morning and just read your article in the Breathe supplement with TES magazine, ‘Let’s get cycling’. I would love to share your words with my Breeze cycle participants (and those who still need a little nudge to get out on their bikes). Is it available online anywhere? Or if you have a blog post about getting back into cycling, point me in the right direction for that. Thank you!